Poison Ivy is the main antagonist from the Batman series who made her first appearance all the way back in 1966. Her main area of expertise is in botany which is reflected in her superpowers and weapons of choice. Her superpower allows her to use her toxic bloodstream as a weapon, making her poison to the touch and invincible to an array of viruses. Oddly enough for a villain she aims to protect the environment and nature. 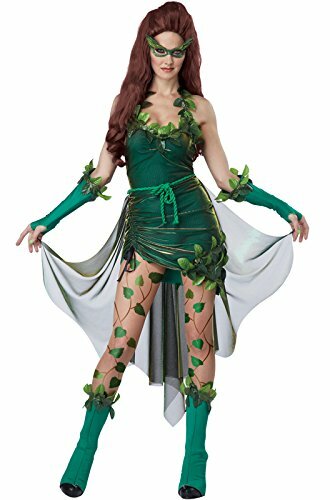 In today’s post we’ll be showing you how to put together a Poison Ivy costume that will blow away fellow cosplayers including: wig, cosplay outfit and makeup tutorial. Hopefully we can get you looking as good as the reference image. This would make the perfect group fancy dress idea alongside friends dressed as Batman (as a couple perhaps) and Harley Quinn (either the classic or Suicide Squad iteration). Without further ado let’s get into the tutorial! 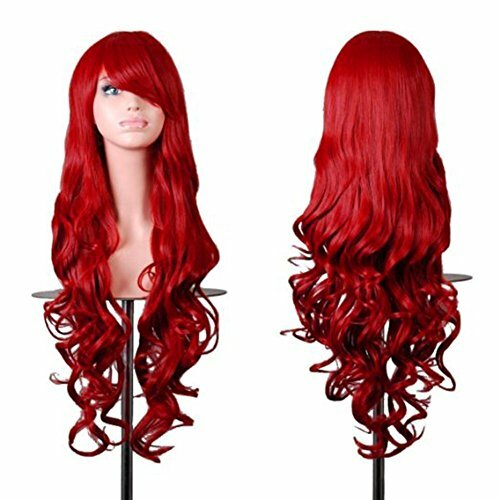 If you’ve already got naturally red hair this is the ideal costume for you and you won’t even need a wig for it, so feel free to move onto the next section. However if you’re hair isn’t naturally red you’ll need a wig to replicate this character’s distinctive look. Alternatively dye your hair if you don’t mind a semi-permanent change or use spray in dye to turn your hair red, keeping in mind this is only a viable option if your hair is already a suitable length. 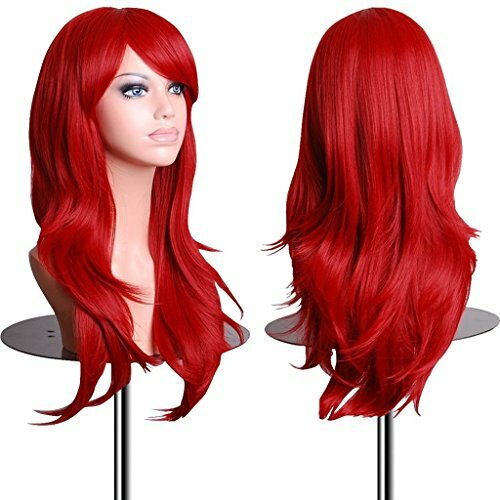 Here are two different options for red wigs just in case one goes out of stock during the busy Halloween shopping season. Next let’s move onto the outfit itself. Again there are several different choices you can pick from because this is a popular character. Check out the cosplay for adults from California including: dress, mask, glovelettes, boot covers, ivy patterned leggings, and detachable train. Or for younger cosplayers check out the child’s outfit from Rubies including: dress with belt and leggings. If you would prefer to make this outfit yourself from scratch then you’ll need a green corset or dress that you can buy affordably from the thrift store. Then dye your hair as directed above. Add green glovelettes, green tights and finish with a pair of green shoes. Add artificial ivy for added detail. 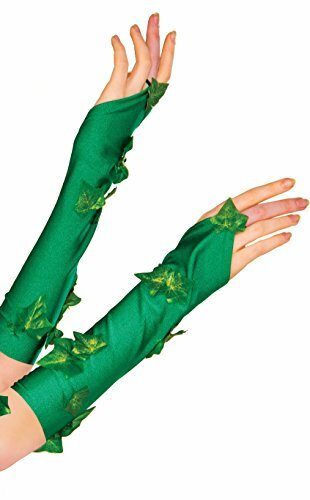 As the name would suggest Poison Ivy’s body is adorned with ivy, of course you wouldn’t be able to wear real ivy on your body but there are accessories that can replicate the look. Check out these ivy glovelettes and tights with an ivy design. Finish off with a pair of green shoes. 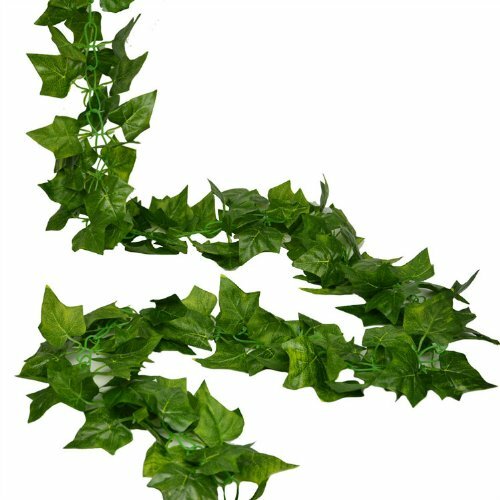 As said before it would be impractical to wear real ivy on your body but there are artificial varieties such as the ones above that would work well. Look at our reference images for ideas on where to place this and how to adorn your body with it. The last thing you’ll need is some light makeup, completely optional but will help bring the whole look together. You’ll need: tape, electric green eye shadow (in three shades from light to dark), electric yellow eye shadow, liquid foundation to match your skin tone, under eye correction, concealer, translucent powder, brown/copper eye shadow, red eye pencil, dark green and black liquid liner, cosmetic glitter adhesive, green cosmetic glitter, red glitter, gold glitter, mascara, black lip liner, and fake lashes (optional). Starting with the eyes place tape across as a guide for the eye shadow (be gentle). Pat on an electric green eye shadow in the outer corner and crease of your eyelid and brush this out then add an electric yellow shadow on the inner corner, finish with a darker green on the outer corner of your eye in a ‘v’ shape. Take off the tape. Moisturize the rest of your face before moving on. Now use a beauty blender to dap liquid foundation all over your face, continue with under eye colour correction and finish with concealer to highlight under eyes, forehead and nose then set it all with powder. Next contour your cheeks, sides of your head and forehead with that same electric green you started with. Then add some copper shadow to your eyebrows to really enhance them. Move back to the eye area now and sweep some of that electric green under the eyes and continue with a red pencil on your waterline. Draw on some dark green winged eyeliner, then dap some cosmetic glitter adhesive followed by translucent cosmetic glitter. Next paint adhesive on top of your winged liner and dab on some emerald green glitter, then some adhesive into the inner corner of your eye and continue with some gold. Finally go under your lash line with adhesive and place red glitter there. Put on a thin line of black eye liner to outline the green liner and then finish with your favourite brand of mascara. Fill in your lips with black liner and add green glitter to the centre. After that daw in swirling vines to your neck and sides of your head then place shadow on the underside with a darker shade of green and highlight on the upper side. Put on fake lashes if you like and contour your collarbones. There you have it, everything you need to transform into the mysterious villain that is Poison Ivy. Before you leave be sure to check out our other cosplay tutorials or follow us on social media for updates on our newest posts as soon as we publish them.